Lincoln City Police K9 Fund – To promote a positive relationship between the community and the Lincoln City Police Department through the education of the city on the modern day use of the Law Enforcement K9. Lincoln City Police Department is excited to announce the establishment of the K9 program. We are asking for support from our community. The donations that we receive will help cover the costs of the K9 handler courses and certifications, as well as necessary equipment for the dog, such as ballistic K9 vests, vehicle insert designed for transport of a police dog, and the construction of a kennel for the K9’s housing. Lincoln City Police Department is so thankful for all of the support we have received from our community. If you are able to support our program in any way, all donation amounts are appreciated. 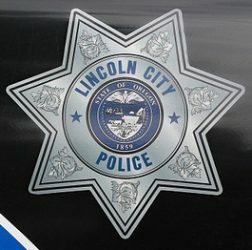 Donations can be made in any manner and checks should be made out to the Lincoln City Police Department K9 Fund to ensure that your donation is placed in the proper account. Donations are tax deductible (Tax ID 93-5203629); therefore, please provide our department with your name, address and phone number and we will ensure that you receive a proper receipt for documentation.